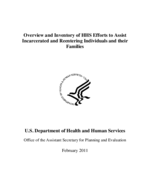 The following three projects/awards fund infectious disease research related to incarcerated individuals, with a focus on treatment, prevention, and transmission of Hepatitis C virus, Staphylococcus aureus, tuberculosis, and sexually transmitted infections in prisoner populations. These awards are not part of a program or initiative that specifically focuses on incarcerated individuals. Acute Hepatitis C Virus (HCV) Infection in the Prison Population: Therapies for HCV infection have improved recently, but still fail in many persons and are unavailable for most infected individuals worldwide. Therefore understanding natural immunity to this infection and the development of prophylactic vaccines and immunotherapies remain urgent goals. To this end, it will be essential to better understand the earliest events during acute HCV infection, as this is the exclusive time at which spontaneous clearance of viremia has been observed to occur. In Massachusetts we are studying the problem of acute HCV infection in recently incarcerated intravenous drug users, an important underserved population with a high risk of HCV exposure. A better understanding of the complex interaction between human immune system and the virus will offer insights into the mechanisms involved in viral control and persistence, information that promises to facilitate future preventive and therapeutic interventions against HCV infection and disease. This project is supported under the Hepatitis C Cooperative Research Center awarded to George Lauer in 2005, and renewed in 2010, in response to a NIAID RFA entitled Hepatitis C Cooperative Research Centers, which aims to foster and stimulate high-quality, multi-disciplinary collaborative research focused on hepatitis C virus (HCV) infection and disease. Risk Factors for Spread of Staphylococcus aureus (S. aureus) in Prisons: The dramatic rise in community-based S. aureus infections, many due to methicillin-resistant S. aureus (MRSA), has become an important public health problem. This proposal will focus on prisoners, a high-risk group that has received limited attention. Our long term goal is to develop strategies that will prevent and control transmission of S. aureus within the prison system as well as in similar crowded environments by: (i) identifying patterns of S. aureus strain transmission within the prison, (ii) determining the factors associated with the development of clinical infections within the prison and (iii) identifying risk factors associated with colonization and/or infection with S. aureus at prisoner intake and at release. Disparities in sexually transmitted infections among young women: Role of individual- and community-level exposures to incarceration and crime: Although there are significant and longstanding racial disparities in sexually transmitted infections (STI) among young women, their causal mechanisms are unidentified. One factor known to differ significantly by race and correlate strongly with STI risk is incarceration. High rates of incarceration and crime in a community have also been associated with higher STI prevalence in that community. Our research aims to (i) assess whether the association between incarceration and sexually transmitted infections (STI) is stronger when incarceration precedes first STI; (ii) assess whether community incarceration and crime rates are associated with an individual's risk of STI, after accounting for an individual's incarceration history; and (iii) assess whether increased risk of STI among minority young women is diminished when accounting for an individual's differential incarceration rate and exposure to community incarceration and crime rates. Background:The three awards are a mix of investigator-initiated and solicited research in various initiatives related to infectious disease.